Kapoor met Geeta Bali in 1955, during the shooting of the film Rangeen Raaten, where he was the leading actor and she played a cameo. Four months later, they married at Banganga Temples, near Napean Sea Road of Mumbai. They had a son, Aditya Raj Kapoor, on 1 July 1956, at Shirodkar's Hospital, Mumbai, a year after they were married. Five years later, in 1961, they had a daughter, Kanchan. Geeta Bali died from smallpox in 1965. 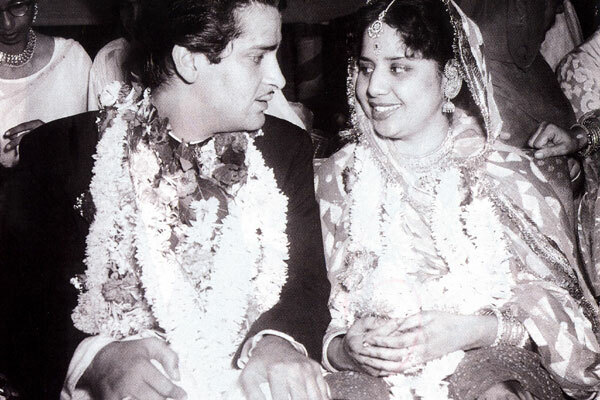 Shammi Kapoor married Neila Devi on January 27, 1969.